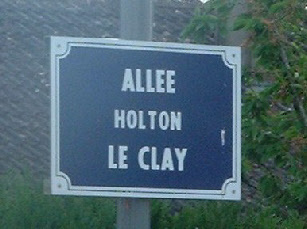 Holton le Clay is twinned with Sargé Les Le Mans, a small picturesque village on the outskirts of Le Mans in the Sarthe District of France. 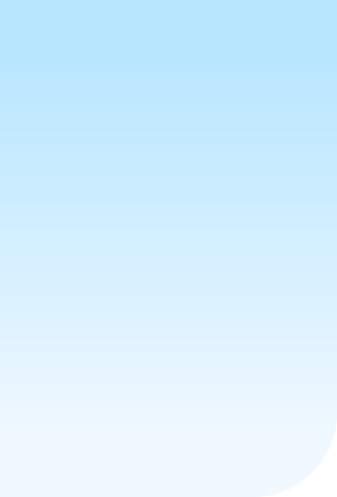 Our Association was formed in the mid Nineties following exploratory visits by representatives of both villages in 1994. 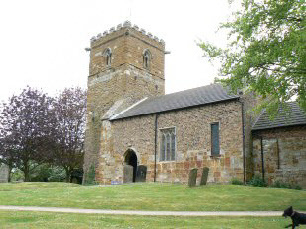 It was love at first sight, and after a short courtship the two villages were finally married at St Peters Church, Holton Le Clay in April 1996. 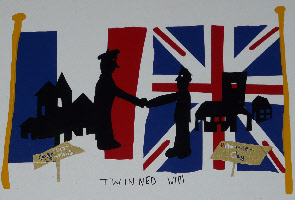 Well at least that’s when the final signing of the Twinning Charter took place. We will soon be planning our next twinning visit, which is likely to be at Easter and, if typical, will involve around 40 men, women and children representing more than 20 families. In addition to our exchange visits, members support a range of social and fund raising events throughout the year. We meet as often as once a month, sometimes at the local pub, sometimes at a local restaurant, but mainly at the local community hall. We get up to allsorts…..barbeques, barn-dances, safari suppers, wine tastings, and theatre trips are just a small sample of the great events we’ve arranged recently. 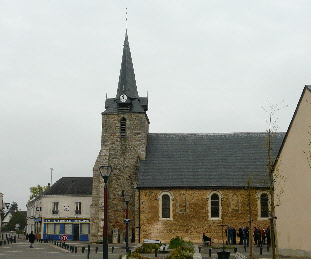 At the heart of any successful marriage is commitment, and both Holton le Clay and Sargé Lès Le Mans are committed to developing their social and cultural links, and arranging Exchange Visits between the two communities. These are not “Civic” events involving a lot of Pomp and Ceremony, rather exchanges between ordinary families, with just a little pomp, and a smattering of ceremony. As you would expect with any couple who live 500 plus miles apart, and only see each other once a year, married life is bliss, and the reunions somewhat spectacular. Many of the family friendships that were established over 20 years ago are still going strong. Some of the children who exchanged back then are now grown up with families of their own, and are still involved in Twinning. New families join each year and very quickly become part of the Twinning tradition. You are never too old or too young to take part. New members are always welcome, and, if you would like to talk to us about the possibility of joining the Twinning please contact any member of the committee, or contact us using the form and we will be in touch.